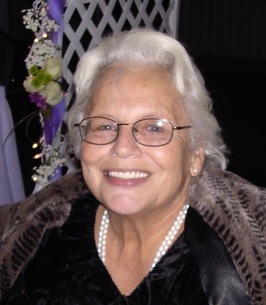 Colette Helen Biros, age 75 of Mpls., passed away on Oct. 15, 2018. Kindhearted and loved by all. Preceded in death by parents, Michael and Helen; brother, Claude; and sister, Ramona Biros Kellen. Survived by son, Scott; grandchildren, Luis and Peter; siblings, Dr. Dennis (Mary) and Dr. Michelle Biros; many nieces, nephews and other relatives and friends. Memorial Mass of Christian Burial 11:15 AM Tuesday, Oct. 23, 2018 with visitation at 10AM CHURCH OF THE HOLY CROSS (17th Ave NE & University Ave, Minneapolis, MN). Interment Holy Trinity Catholic Cemetery, Royalton, MN. In lieu of flowers, memorials preferred. We encourage you to share any memorable photos or stories about Colette. All tributes placed on and purchased through this memorial website will remain on in perpetuity for future generations.